As typical as it may be, we stayed at Serafino with absolutely no regrets. 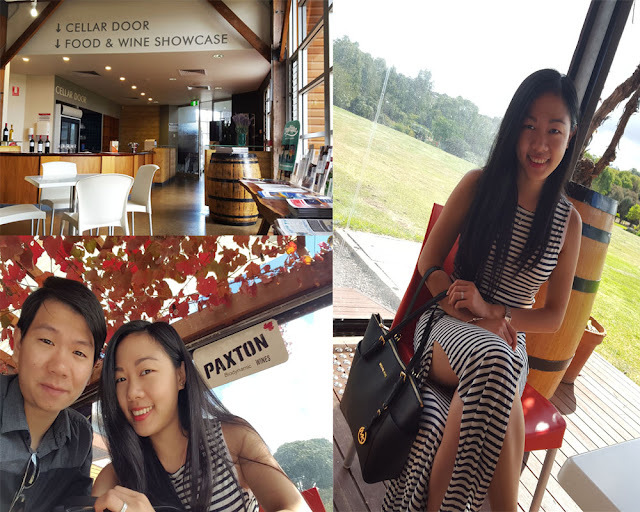 We loved it for its picturesque views, immediate access to the Shiraz trail, and large and quiet rooms (they don't assure a noise-free environment especially during weekends but it was quiet when we were there). They also have a swimming pool across where the rooms are - I would have loved to go for a swim but it was getting too cold as we were in the middle of autumn. Now, here's how you can save: opt to go on a weekday - saved us $80, book the room through Trip Advisor's Tingo - saved us another $80, opt for the no breakfast rate - saved us about $60. So our overnight stay only cost us $140.31! 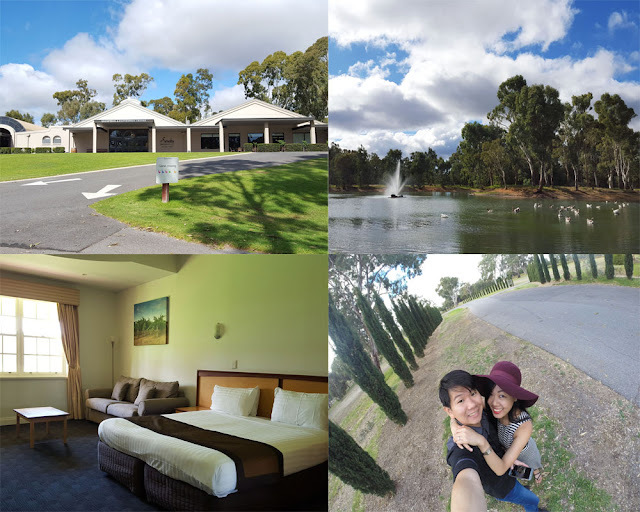 McLaren Vale - Where To Stay (clockwise): Serafino's reception area, beautiful pond with plenty of geese, the hotel grounds entry, and our large standard room for two. Start your trip by stopping by the McLaren Vale & Fleurieu Visitor Centre (open from 9 am-5 pm). 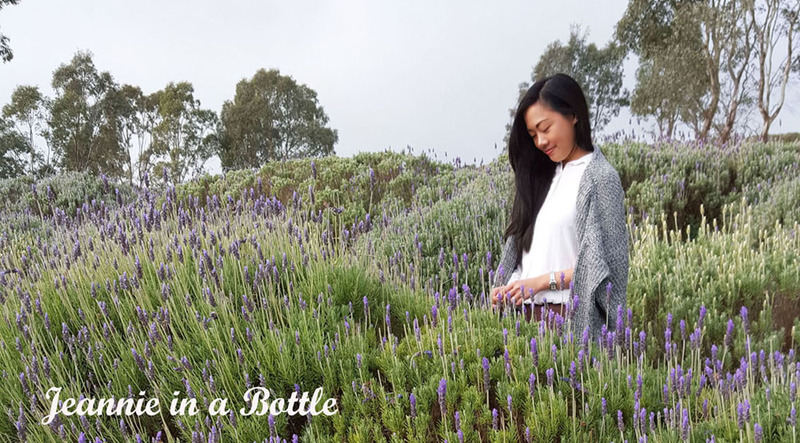 Here, you can begin wine tasting for free, have a coffee, and sit outside overlooking a relaxing view. Walk or cycle the Shiraz Trail. 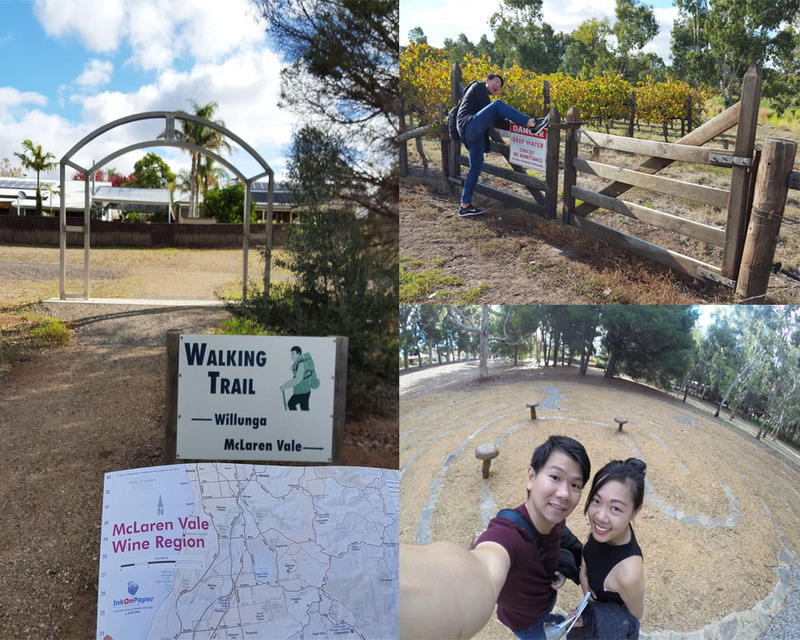 We started at Serafino where we grabbed a map from reception, entered the trail from near the hotel's parking area, played at the playground which is part of the trail, and walked back to the hotel when we got tired. Go wine tasting. But of course, what are you doing at a wine region if you don't go wine tasting, hey? Well to be honest, we're not huge wine lovers so we were happy to have tried the wine at the visitor centre, stopped by Angove's Winery, looked around at Tintara Winery, and sampled and bought a bottle from Serafino Wines. Unwind and savor your wine with some chocolate while enjoying a bubble bath. This has got to be my favorite part whenever I'm checked in at a hotel. Bought my bath bomb from Lush but The Almond Train actually had some bath bombs on special so don't fret if you forgot to pack a bath bomb. Go on a food trip. This is something we have always loved to do as a couple - spending quality time over good food. So check out 'Where to Eat' below! Where to Eat (and the best thing is the restaurants are almost just right next to each other on the Main Road). We started our food trip with brunch at The Cottage Bakery. I had the beef burgundy pie while K had the best cappucino and lamb & rosemary pie. Stopped by The Almond Train and got our pick of almonds. We got to try samples from the complimentary cashew and almond tasting and my favorite was the hot & spicy one. 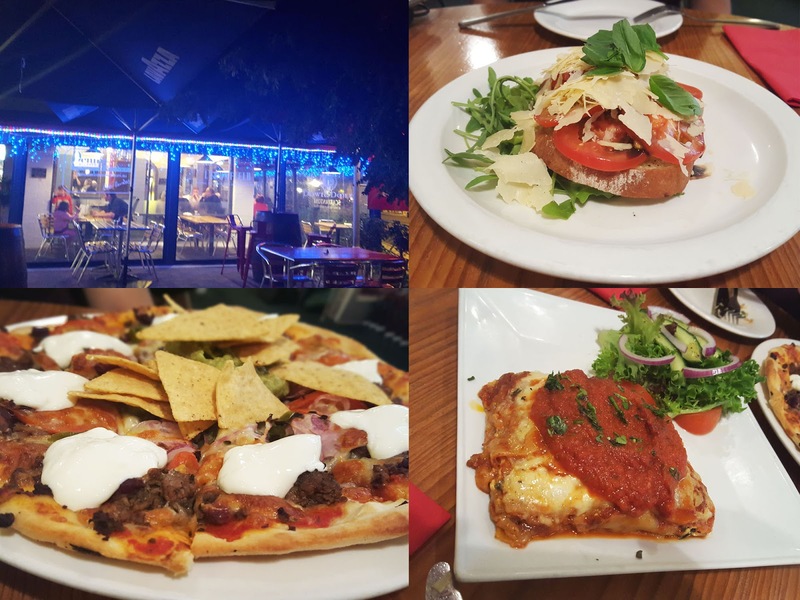 We had our anniversary dinner at Oscars, which has quite a lot of positive reviews, but personally, we were quite disappointed with our Mexican pizza, bruschetta and lasagne. Remember how we saved $60 from opting out of breakfast at the hotel? 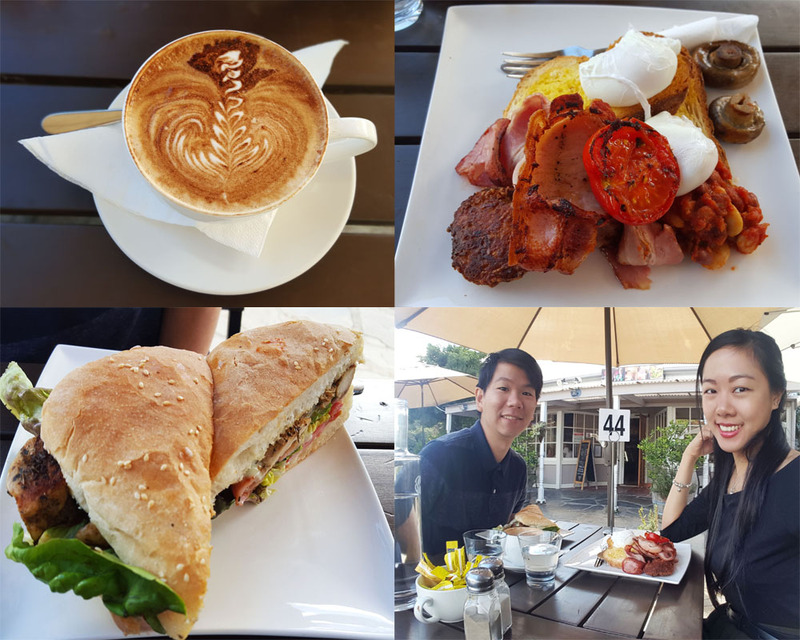 We had breakfast at Bracegirdles the next day - which was absolutely delicious: vintage breakfast, spicy chicken turkish bread and a cappucino (except the cappucino wasn't as spectacular as the one at The Cottage Bakery). Not bad for a quick holiday! The hubby and I thoroughly enjoyed our time in this little town. I can't wait for our next staycation/vacation. So I hope you guys enjoyed this post and let me know how you guys celebrate your anniversary with your loved ones in the comment section below. Happy Anniversary to both of you the images are divine. Congratulations on your wedding anniversary - how exciting!! You two look so happy and I'm loving all the beautiful places you two went to!! Sounds like it was the perfect wedding anniversary! All the food you guys ate looks so delish :) Congrats on one year of marriage! Beautiful photos! The food looks delicious. This sounds like such a fun trip, and the views are amazing. I also love your stripy maxi dress, it really flatters your figure and looks lovely. Happy One Year Anniversary to you both! Aww this is so sweet. Cheers to you! What a great time away; love the food and the views! You both look so sweet! This looks like a such amazing trip! I love wine country! Happy wedding anniversary! That place look so beautiful and you look great! Happy wedding anniversary, looks so fun! Love the dress. Wow the place looks stunning (: x hope you are having a fun time there. Stunning photos, I wonder, did you have someone take your photos? Coz their perfect. 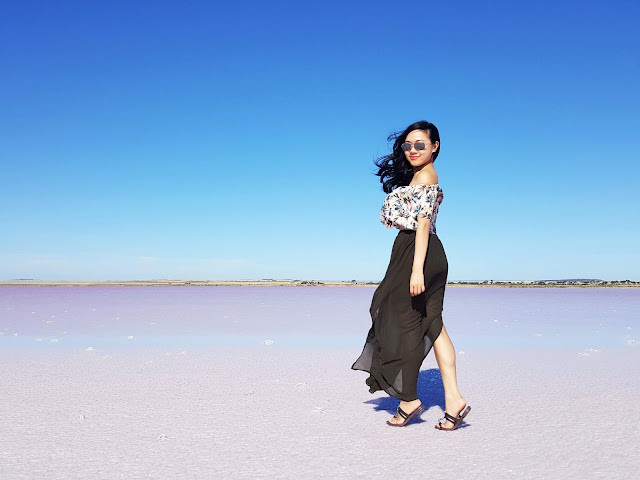 Love how you shared your itinerary and budget. Would love to have our own Ausie escape in the future too! Looks great! Really like the pictures. Happy anniversary lovely!! How wonderful. It looks like you had the most amazing time. Looks like the perfect place to celebrate your anniversary! Aw happy anniversary! This looks like such a sweet getaway, and those treats looked so delish! This is such a great getaway. Happy anniv to both of you. Looks like so Much fun already . Glad u had fun. 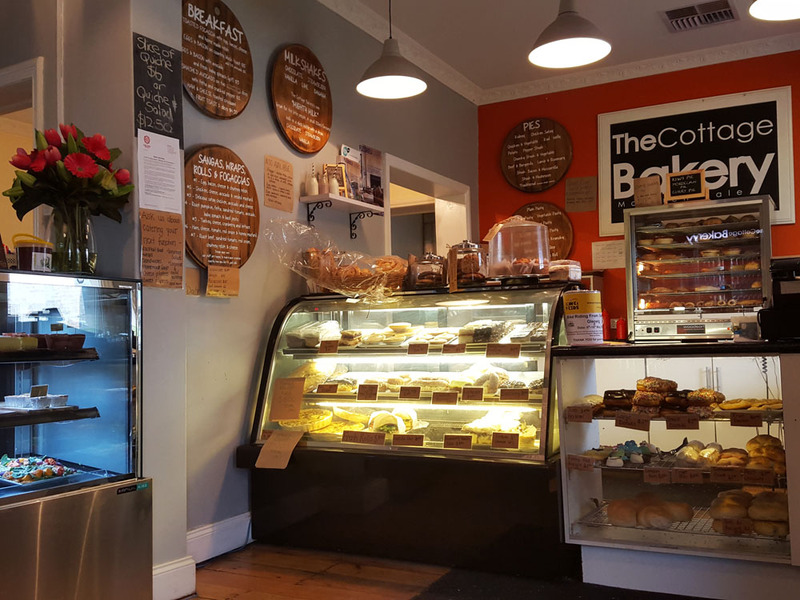 The food looks great and also the location is fab. Happy Anniversary!! Looks like you had an amazing time! What a great way to celebrate your anniversary! Sounds like you guys had an incredible time! Amazing, looks like a lot of fun! 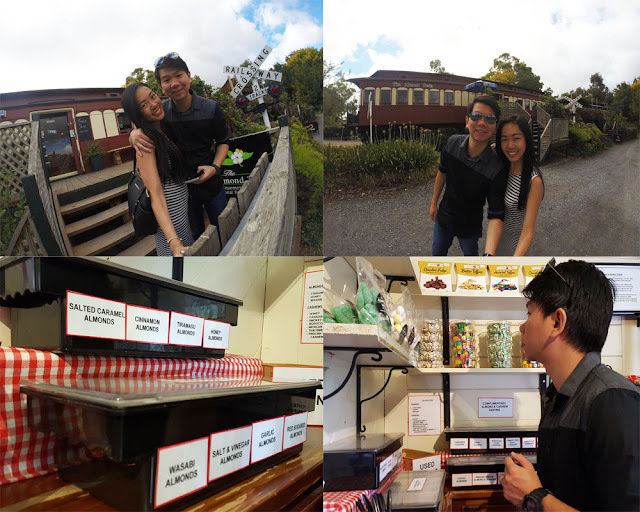 Nice mini-getaway, I also like exploring different places to eat too. I like this kind of post and your dresses. Fun travel photos! You look so happy! Oh my word this looks absolutely perfect!! Happy anniversary to you guys. My hubbs would love the almond spot and who wouldn't like being in the wine region? That striped dress was lovely too! Happy Wedding Anniversary! Keep the love everyday. Thanks for sharing these useful tips on what to do on an anniversary day. wonderful post! 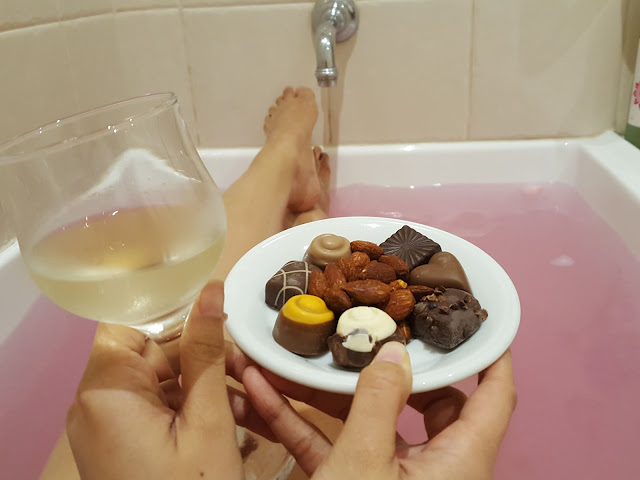 love the chocolates and wine in the tub :) I also really like the section on budgeting, very nifty to have in a post! This looks like an amazing pace to stay! Love this striped dress you are wearing in the last pic. So chic! I try to at least have a night out or something similar, but staycations are next to impossible with two small children. OH COOL photos dear !!! It's a pity swimming at your hotel wasn't an option due to the time of year, though the accommodation looks very nice :) Mmm, breakfast at Bracegirdles looks SO tasty!! How nice to enjoy time with your hubs!! Wow, such beautiful photographs. Looks like you had an amazing time. Gorgeous pictures, I'd love to go there. The chocolates looked delicious too! And I'm following you, sweety! I'll be waiting for you on my blog. Seems like a really nice trip ! that looks so awesome! You guys look adorable :) congrats on your anniversary. The food is making me hungry! I can always go for some flavored almonds. Cool post- so informative! and cute pictures!! Happy Anniversary to both of you. This seems like such a fun trip. Food, travel, wine, chocolates and bath bombs. What more can you ask for at that price! looks like a fun trip <3 and the price point is so worth it! What a wonderful getaway and I love all your outfits! Wow! Stunning place and this is a helpful post for those who have a tight budget. Thanks for your wonderful comment on Qing's Style Please always keep in touch, I would love to hear from you! Happy Anniversary and best wishes for future.